How do one import a bank statement . Then reconcile the entries ? I have searched for bank Reconciliation in the Doc Type . But there is no files should I create a new one ? Can you describe or share screenshot? I do not find the “Bank Reconciliation” here. and neither under the “Doc Type”. I found the Bank reconciliation doc, but unable to change the permission setting. 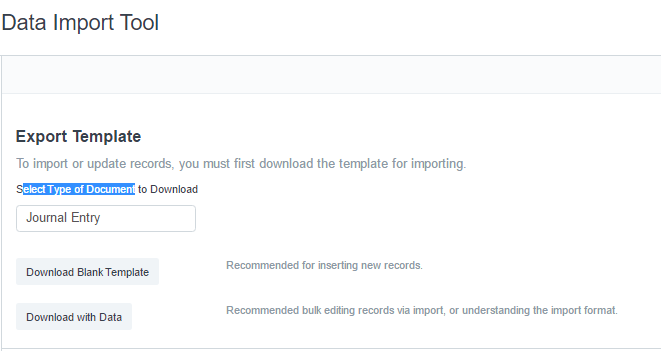 How do you change the permission to “Allow import”? Check whether Developer mode is set to 1 or not. if developer mode is 1 then only you can Allow it. Where can I find the developer mode setting? Ah okay, so can only this if it is locally hosted, not the one that hosted by erpnext. Is that correct? Thanks, but this is also only available if it is a locally hosted one I assume. Yes only on locally hosted setup. Normally switching to Developer mode should also be possible on a remote server via SSH access. Or you can edit the site config json file. I’m experiencing the same issue. Did you ever get any help with this? Is this related to my query?